Fran's House of Ayurveda: What is KAPHA? The three Doshas - vata, pitta and kapha - are based on the 5 elements: air, space/ether, fire, water and earth. Kapha is both water and earth. The nature of both these elements are heavy, while water is cool and wet, and earth is stable and inert. The moon is Kapha. Kapha manifests in our bodies as all the heavy liquidy substances: water, mucus, lubrication and fat. Kapha moisturizes the air as we breathe it into our lungs, our food as we chew and swallow it, and keeps our membranes and moving parts lubricated and functional. If your constitution is predominantly Kapha, it means water and earth dominate how your mind and body function. Characteristically, Kaphas have a solid build and tend to hold on to their weight, having trouble with weight loss. Your skin is supple and smooth, and you have broad, balanced features. You are slow in making decisions but are steadfast in your convictions once you get there. Because Kaphas are placid and sedentary, the best activities for you are invigorating ones. Doing 15 minutes of vigorous exercise each day will do wonders for your physical health and mental energy. When stressed, Kaphas tend to withdraw and numb out. Meditation will calm you and heating alternate nostril breathing will vitalize you. A little food goes a long way, so pay attention to just how small your appetite really is and stop eating before you get full. Don't over-sleep -- in fact, waking up at dawn and having a reasonable bed time will help keep your energy high and level throughout the day. In my view, Kapha is all love. Kaphas exude love and need love, like a warm blanket around lucky receivers. Though this openness leaves you vulnerable, be proud of the strength in your ability to have love and compassion for all life. I *knew* Jeffro was Pitta-Kapha! : ) He is most likely more one than the other (so either Pitta or Kapha is predominant) but right now he may have one a bit heightened and out of balance. The best way to tell would be to go through the chart and see what PHYSICAL traits he had in his childhood or through most of his life, cuz this would be his true nature. Make sense? He should meanwhile balance both, but if he's feeling short-tempered or has heartburn, he should calm his Pitta, and if his problem is weight and low energy, he should tackle the Kapha. In either case he should eat light and be surrounded by beauty. And with you that's already happening. I am just learning about Ayurveda and I almost feel as though I've known this my whole life. I am curious... I know I am a Kapha but I am very nearly matched as a Vatta. I feel as though so many of my traits and health advise contradict, and I am not sure what to do. 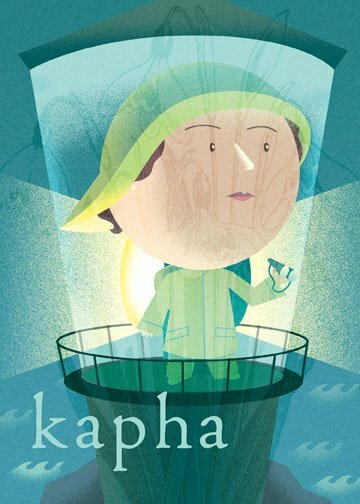 If I am a Kapha-Vatta, how will I know what is appropriate and when? There are two ways to approach your situation. One is that, very often people's Vata goes out of balance first, no matter what their dosha is, because Vata is changeability -- so, stress, anxiety, changes in life, changes in weather, etc, can all aggravate anyone's Vata. In other words, it's possible that Kapha is your predominant dosha if you are a Kapha-Vata. Another approach is, as I mentioned to my friend above, to see which symptoms seem most prevalent and address those. For instance, if your skin is dry or digestion is cold and sluggish, balance your Vata, and if your problem is excess weight or oily skin/hair or water retention, etc, balance the Kapha. Knowing what dosha is responsible for your conditions helps to know how to help heal. Conditions may switch a few times throughout the day or more slowly oscillate throughout the weeks or months. With bistroMD you can trust that not only will you get gourmet entrees, but that every meal and every day in bistroMD's weight loss programs will be balanced to bistroMD's specific nutritional platform to promote healthy weight loss. STEP 1 - Choose one of the diet plans for 5 to 7 days of meals. STEP 2 - See your menu in advance and pick the entrees you desire for each day and week.